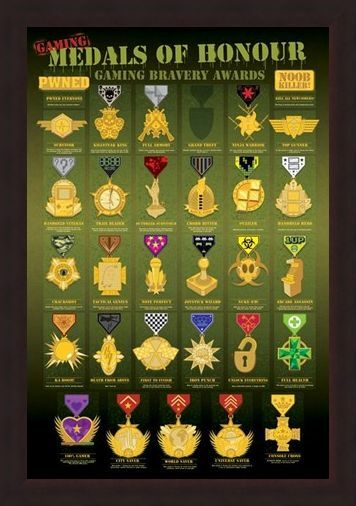 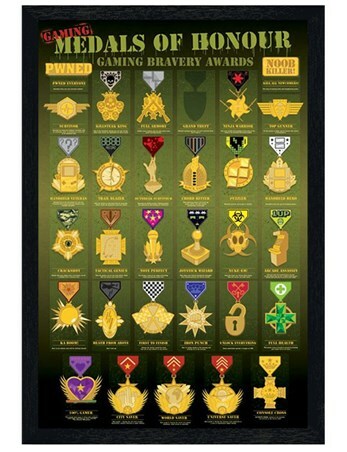 Computer Game Poster: Welcome to the gaming bravery awards where gamers are presented with medals of honour for duty to their "sport", well...for sitting in front of a computer screen blowing things up and such like. 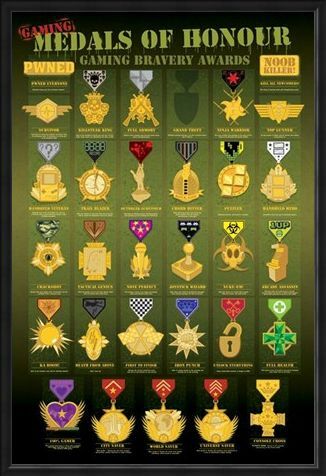 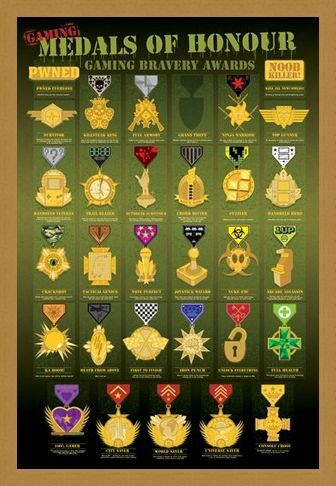 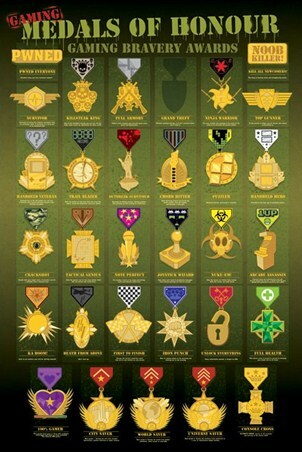 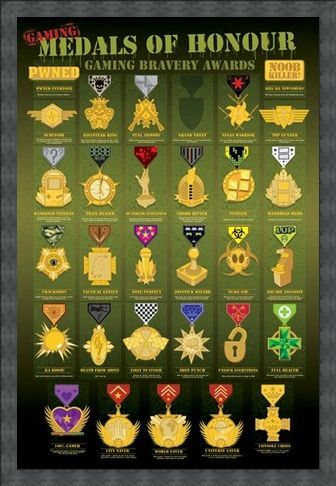 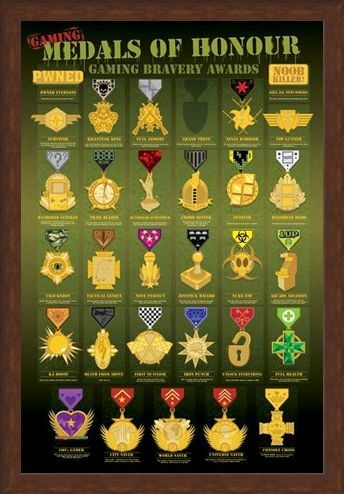 Thirty separate medals are featured in this fun poster including prestigious world saver, city saver and even universe saver awards. 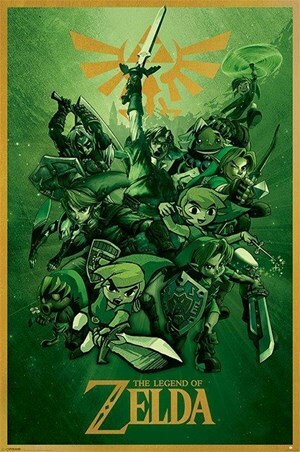 With a backdrop of military green and shiny, vibrant medals, this poster is sure to catch the eye of any computer game addict! 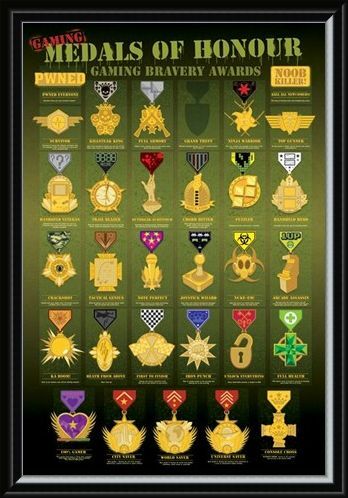 High quality, framed Medals of Honour, Computer Game Awards poster with a bespoke frame by our custom framing service.